Small - $31.99 Only 8 left! Medium - $31.99 Large - $33.99 Only 4 left! Ezra Bridger can teach us a lot of different things, but primarily he reminds us that we can still do a lot of good in the midst of a bad situation. Imagine if your own parents had been taken from you when you were 7, what would you do? Ezra's path seemed to initially be headed down a road of pick-pocketing and crime, but he instead used this light-handed upbringing to prepare him for a future of fighting against the empire that separated him from his parents. All of these things eventually would lead Ezra to a confrontation with the Sith Lord Darth Vader, and a great adventure that would culminate in an end to the Clone Wars. It's this kind of spirit that inspires us to continue to find hope and inspiration from the Star Wars franchise, and what keeps us coming back to it so many times as fans. Chances are you're reading this as a big Star Wars fan too, and maybe even thinking of sharing that excitement with your family. 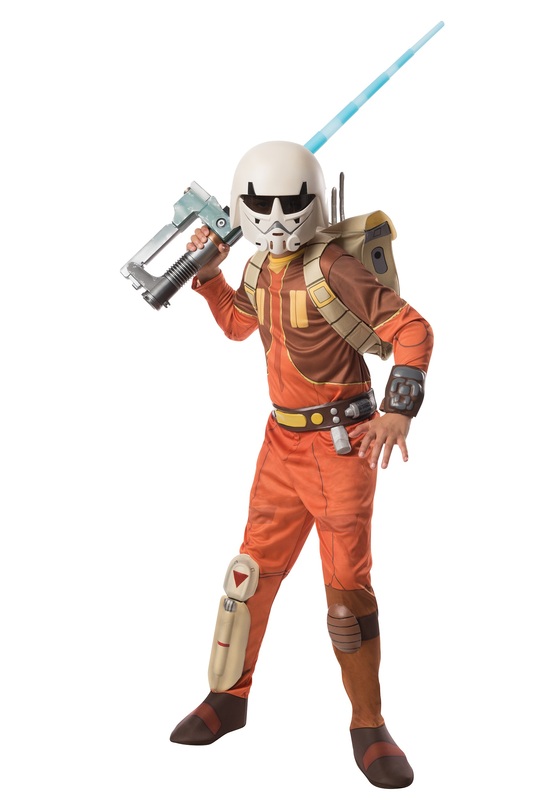 You can start with this Kids Deluxe Ezra Star Wars Rebels Costume. 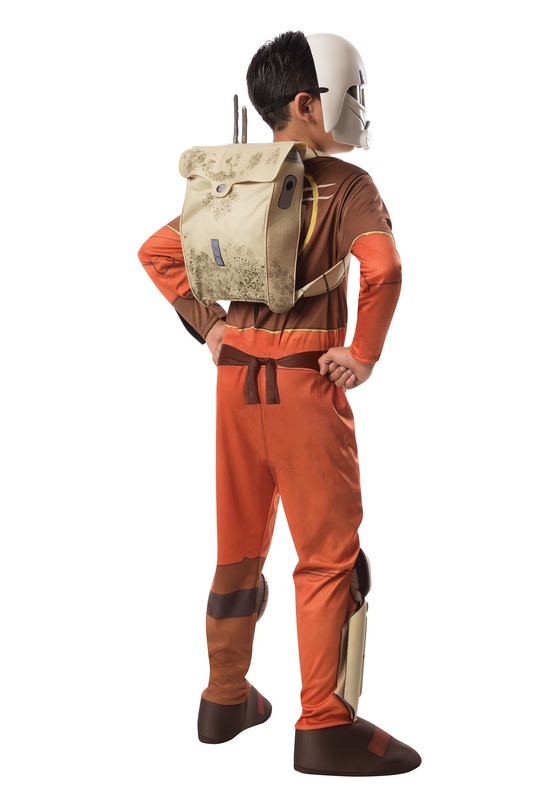 This 100% polyester costume is officially licensed, with a design straight out of the Clone Wars series. It's a one piece jumpsuit that secures with Velcro tabs in the back. The costume has printed details and attached molded foam accent pieces. It has a fabric backpack with foam backed straps, a plastic mask with a see-through visor that secures to the head with an elastic band, and a foam belt that ties around the waist with fabric strips.